Joy Scott is an award-winning British Milliner, with a passion for the unique. She creates one-of-a-kind hats for all occasions, including bridal. Joy finds inspiration in nearly everything – from the architectural shapes of buildings to modern furniture designs and sculptural shapes. Joy’s hats are meticulously crafted using couture European methods, and with the finest felts, straws and other materials. Joy resides between London and the USA and teaches couture millinery workshops several times a year. The workshops are designed for those serious about the art of millinery and who are interested in creating high-end headwear. Come and learn special couture techniques and create your own eye-catching hat for any occasion. 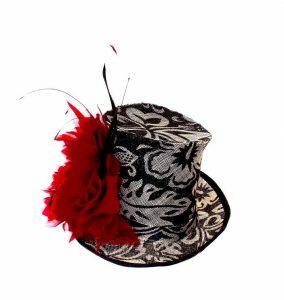 Hat revamping workshops are also available, so you can take an old chapeau from vintage to modern. All classes are small and designed for beginners to advanced. One-on-one workshops are available by request. To avoid disappointment, book early!